Browse our portfolio of fireplace projects. 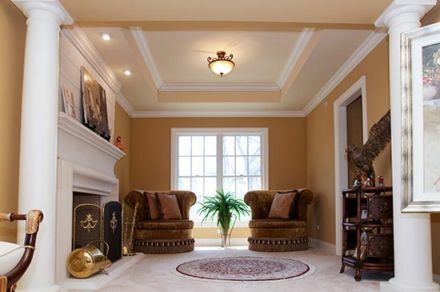 We specialize in custom size fireplace mantels and antique mantel reproduction. 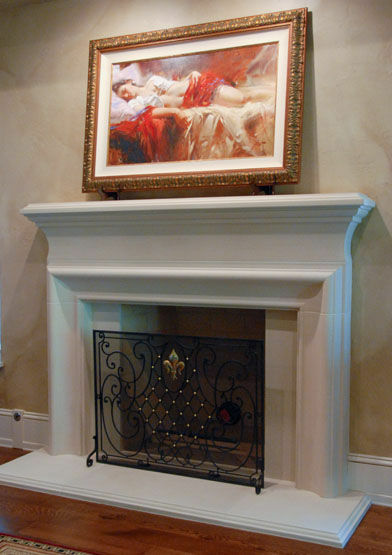 Atlanta Overmantel Fireplace Cast Stone	The Atlanta overmantel fireplace is a cast stone fireplace. 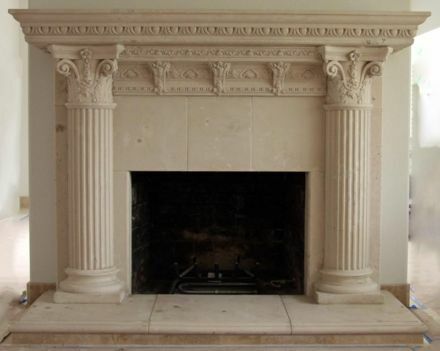 This is a great cast stone fireplace mantle Georgia. 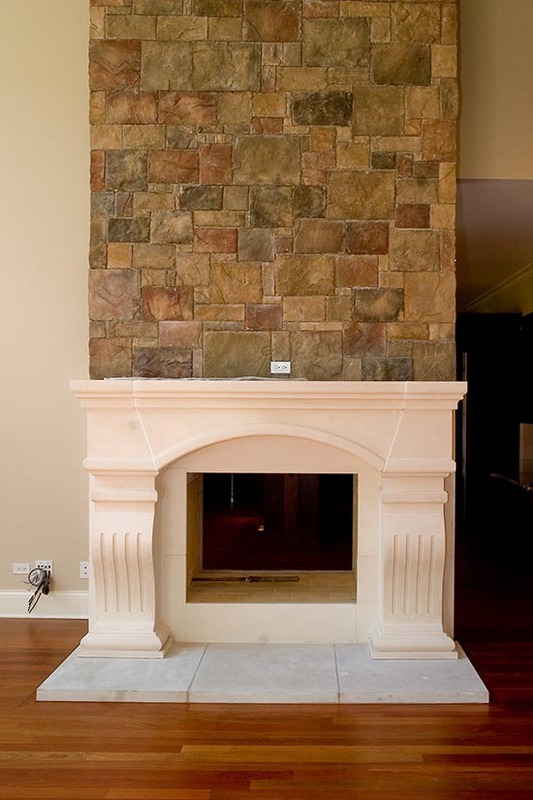 Cast Stone hearth and cast stone fireplace mantel with cast stone paneling ga fireplace mantels. The Atlanta overmantel fireplace is a cast stone fireplace. 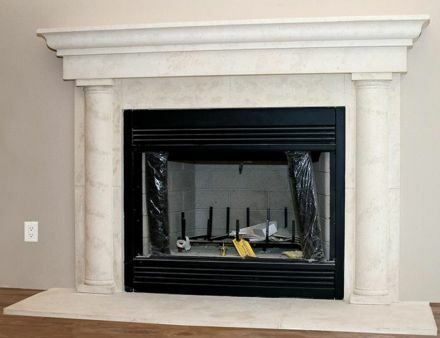 This is a great cast stone fireplace mantle Georgia. 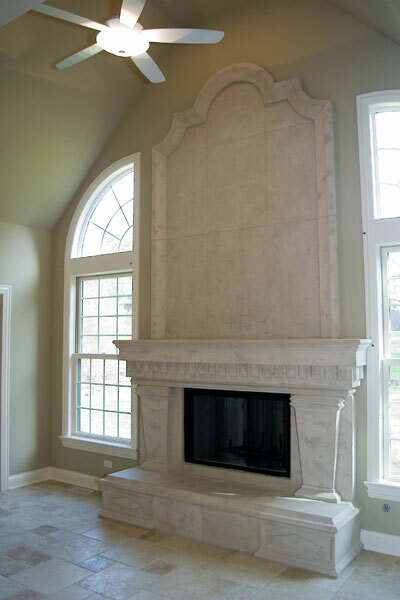 Cast Stone hearth and cast stone fireplace mantel with cast stone paneling ga fireplace mantels. 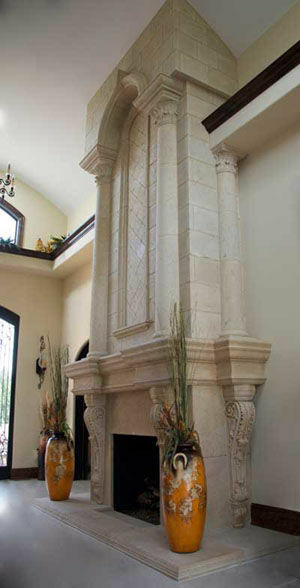 Mesa Column Faux Cast Stone Overmantel The Mesa Column Faux Cast Stone with Overmantel. 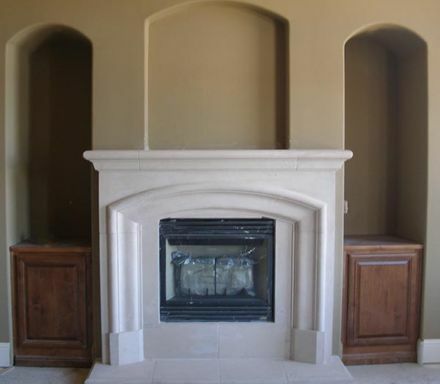 Arizona faux fireplaces made from cast stone fireplaces. 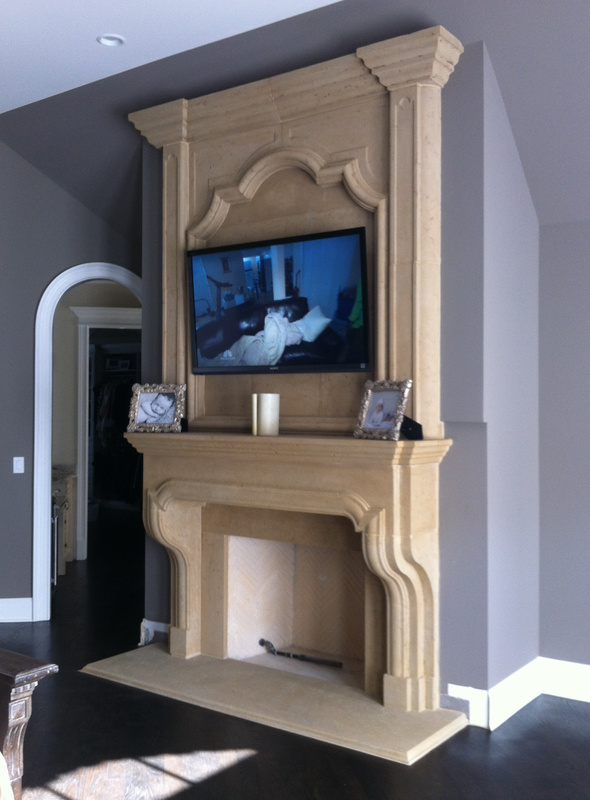 The Mesa Column Faux Cast Stone with Overmantel. Arizona faux fireplaces made from cast stone fireplaces. 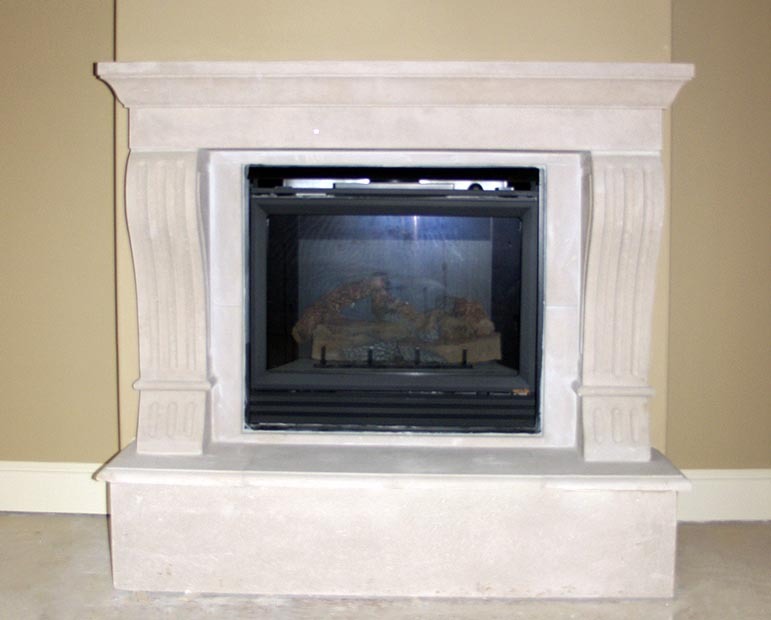 Marlboro Cast Stone Fireplace Surround NJ	Named after Marlboro, New Jersey the Marlboro cast stone fireplace surround is a simple traditional fireplace is an arched opening. 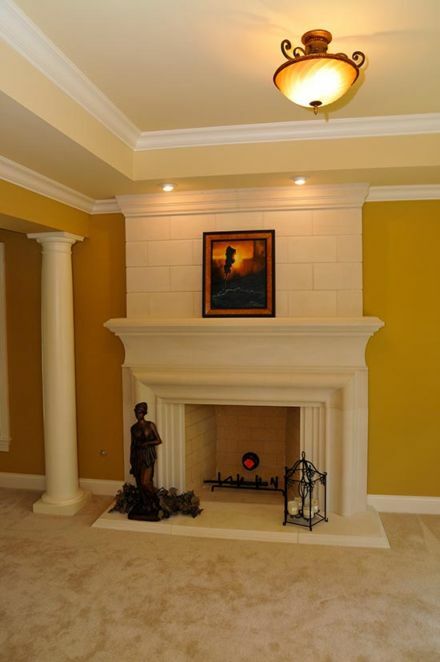 The Marlboro fireplace can be made from limestone fireplaces, marble fireplace and travertine mantel. NJ Cast Stone Fireplace Mantels. Named after Marlboro, New Jersey the Marlboro cast stone fireplace surround is a simple traditional fireplace is an arched opening. 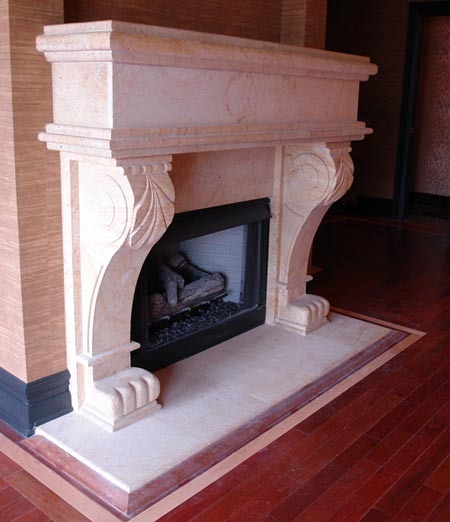 The Marlboro fireplace can be made from limestone fireplaces, marble fireplace and travertine mantel. 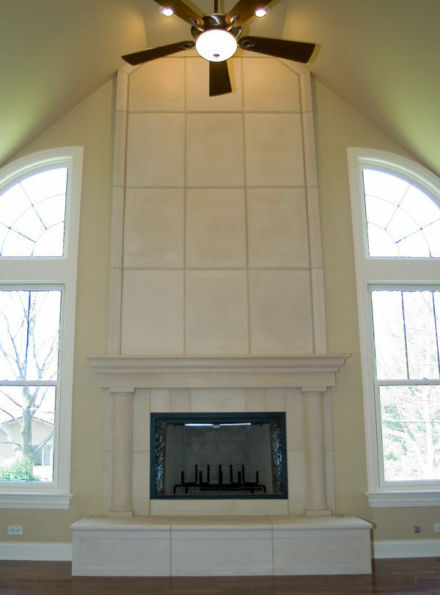 NJ Cast Stone Fireplace Mantels. 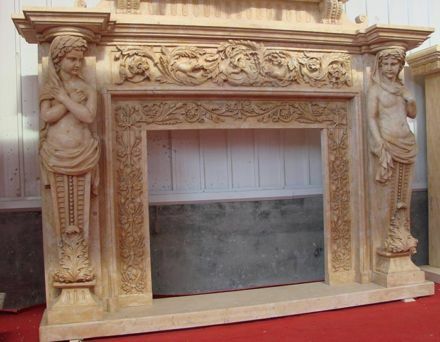 Rhodes Ancient Fake Stone Mantel Surround	Rhodes Ancient is a fake stone fireplace mantel surround. Fake Stone is man bad stone and is made to look and feel like natural stone. 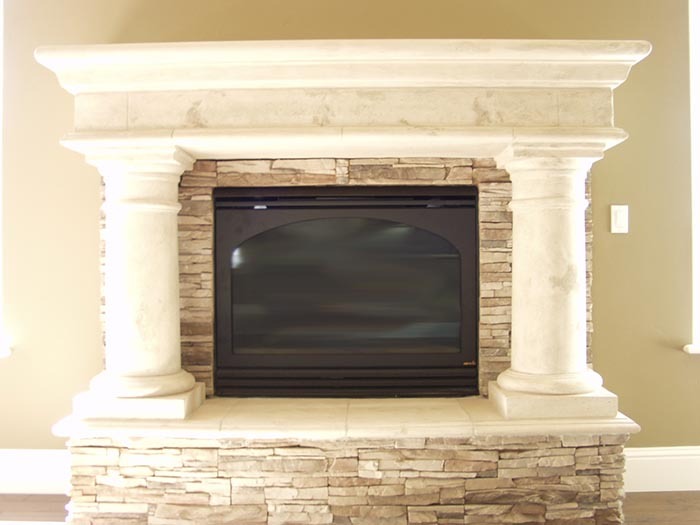 Our fake stone or cast stone fireplace mantels can be custom made. 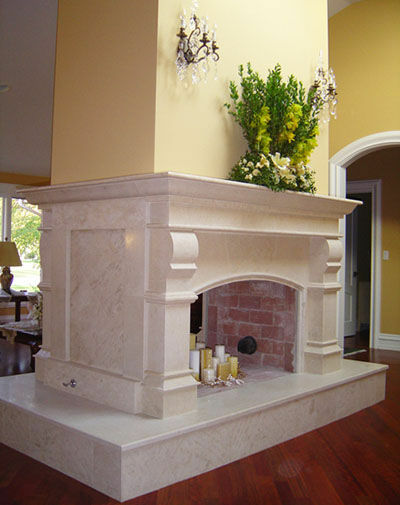 Take a look at our large selection of cast stone, limestone, marble and travertine fireplace mantels. Rhodes Ancient is a fake stone fireplace mantel surround. Fake Stone is man bad stone and is made to look and feel like natural stone. Our fake stone or cast stone fireplace mantels can be custom made. 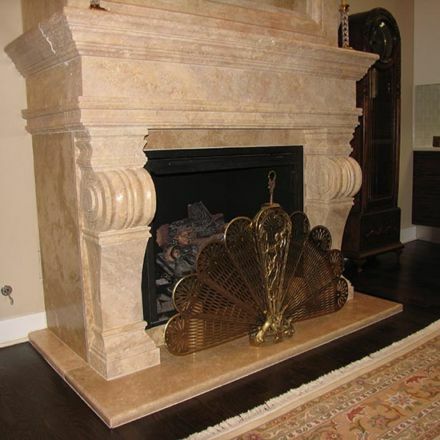 Take a look at our large selection of cast stone, limestone, marble and travertine fireplace mantels. French Black Marble Fireplace	Named after Milwaukee, Wisconsin the Milwaukee Cast Stone Fireplace Mantel is a large over mantel fireplace with panels. WI cast stone fireplaces surrounds paneled. 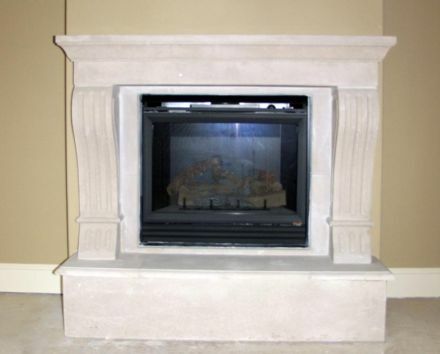 We sell to and install fireplaces in Milwaukee, Wisconsin Fireplace. 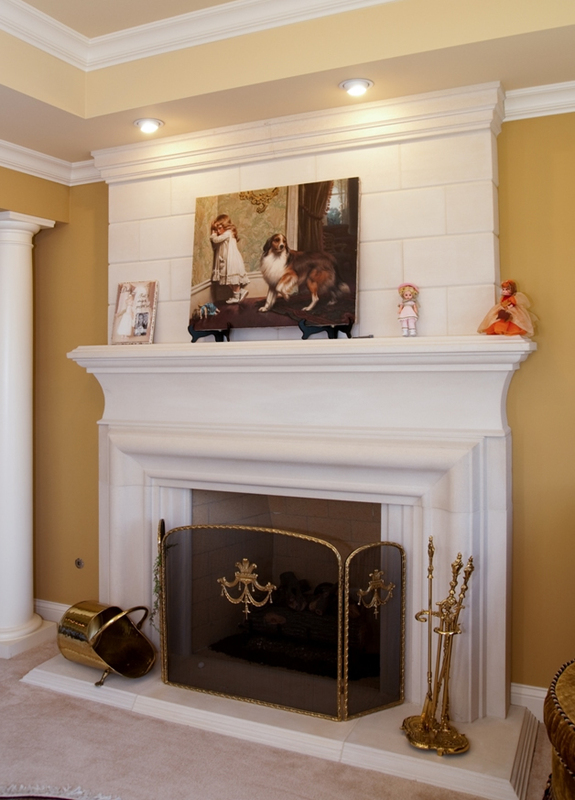 Named after Milwaukee, Wisconsin the Milwaukee Cast Stone Fireplace Mantel is a large over mantel fireplace with panels. 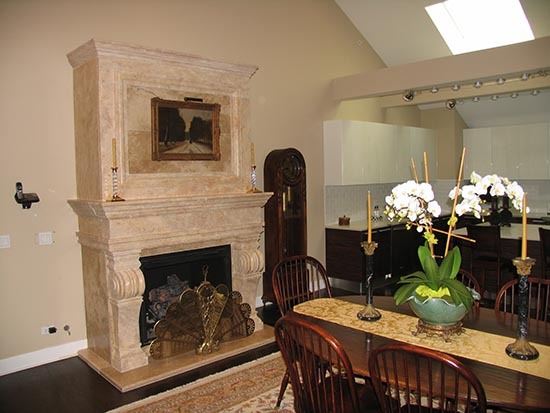 WI cast stone fireplaces surrounds paneled. We sell to and install fireplaces in Milwaukee, Wisconsin Fireplace. Pre Cast Column Fireplace	Named after Milwaukee, Wisconsin the Milwaukee Cast Stone Fireplace Mantel is a large over mantel fireplace with panels. 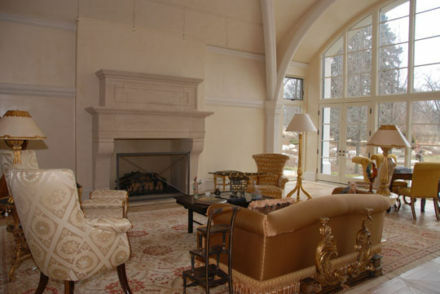 WI cast stone fireplaces surrounds paneled. We sell to and install fireplaces in Milwaukee, Wisconsin Fireplace. Melrose Travertine Side Wrap Fireplace Mantel	Melrose travertine fireplace mantel side view of the overmantel fireplace with returns or a wrap fireplace mantel. 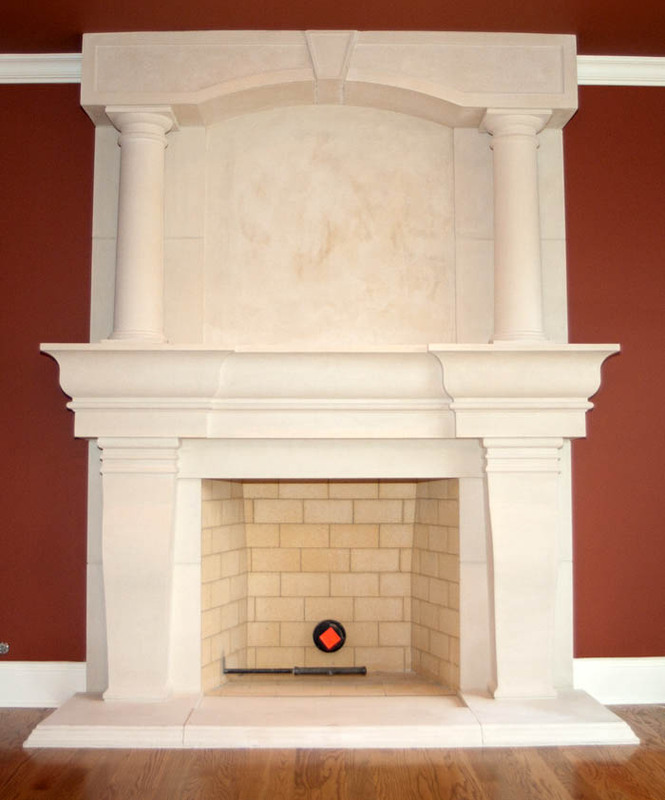 Corbel legs on the travertine fireplace. Ohio travertine fireplace mantels with over-mantel. Melrose travertine fireplace mantel side view of the overmantel fireplace with returns or a wrap fireplace mantel. Corbel legs on the travertine fireplace. 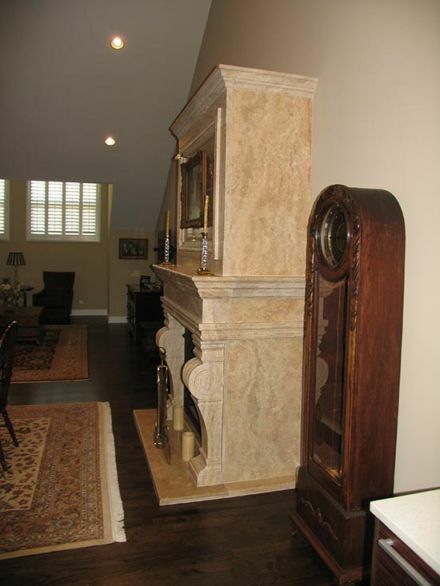 Ohio travertine fireplace mantels with over-mantel. Melrose Mantel Travertine Fireplace	Melrose travertine fireplace mantel side view of the overmantel fireplace with returns or a wrap fireplace mantel. Corbel legs on the travertine fireplace. 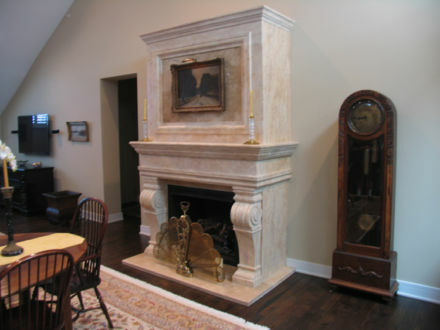 Ohio travertine fireplace mantels with over-mantel. Melrose Design Travertine Fireplace Mantel	Melrose travertine fireplace mantel side view of the overmantel fireplace with returns or a wrap fireplace mantel. 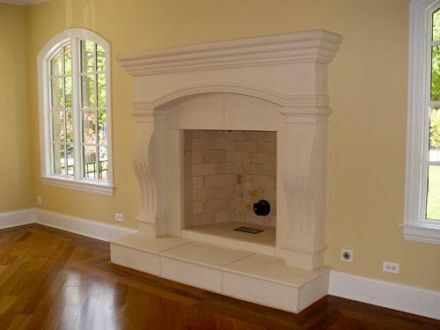 Corbel legs on the travertine fireplace. 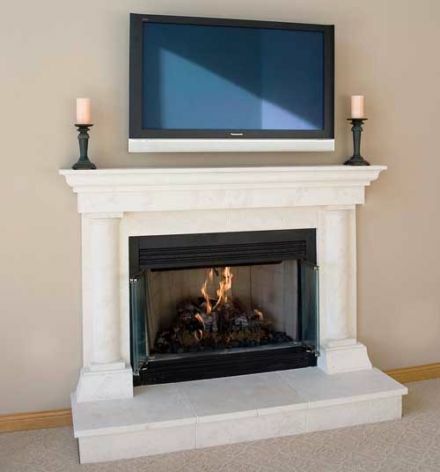 We install fireplaces in Wisconsin, Illinois, Indiana and other Mid-West states. Melrose travertine fireplace mantel side view of the overmantel fireplace with returns or a wrap fireplace mantel. 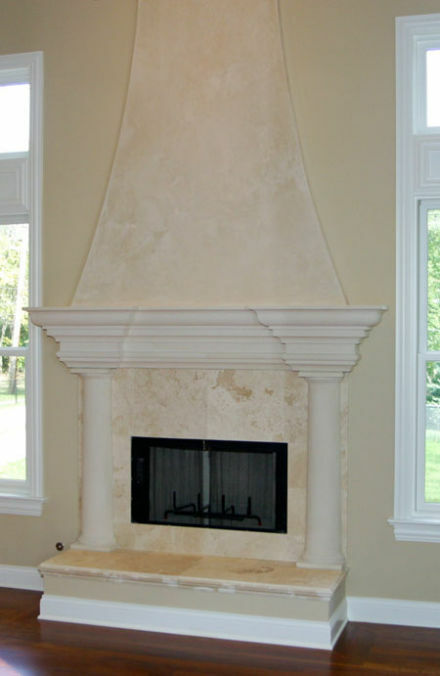 Corbel legs on the travertine fireplace. 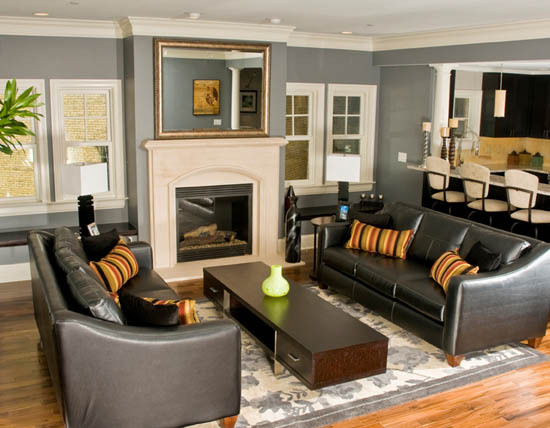 We install fireplaces in Wisconsin, Illinois, Indiana and other Mid-West states. 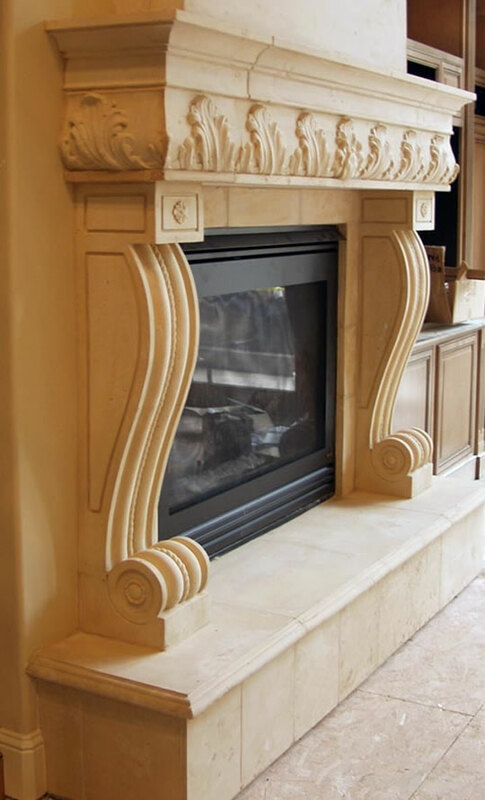 French Cast Stone Mantle | Fireplace Mantles	Cast Stone fireplace mantle made in the French design. Great idea for a an overmantle. Overmantle fireplaces ideas in the French design. 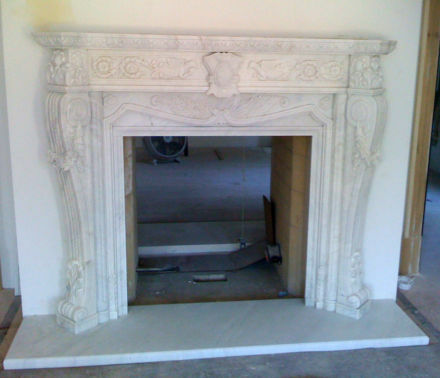 Cast Stone fireplace mantle made in the French design. Great idea for a an overmantle. Overmantle fireplaces ideas in the French design. 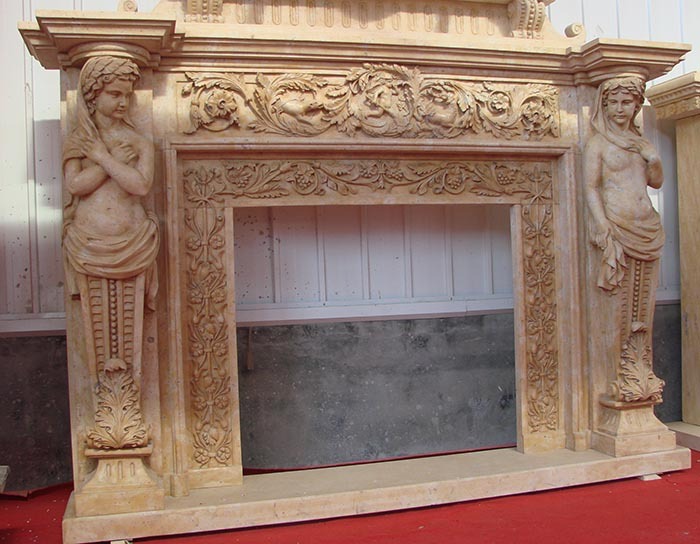 Cherubim Stone Carved Fireplace	Cast Stone fireplace mantle made in the French design. Great idea for a cast stone French fireplace mantle with overmantle. 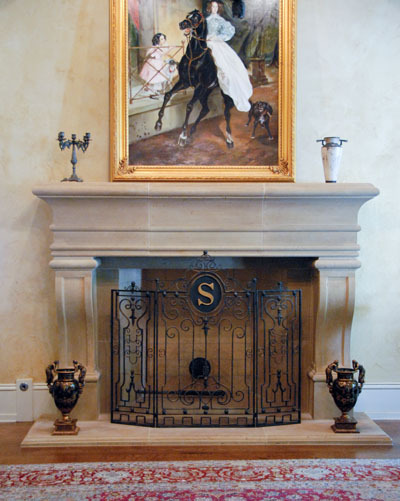 Overmanle fireplaces ideas in the French desgin. Cast Stone fireplace mantle made in the French design. 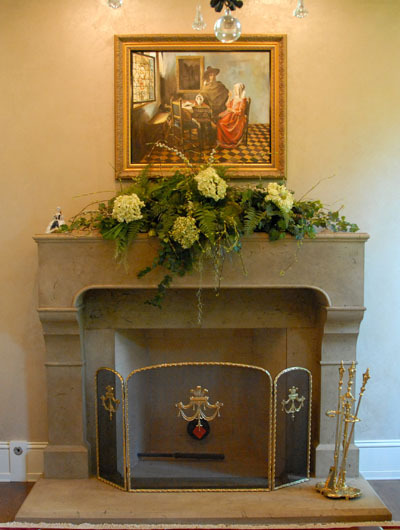 Great idea for a cast stone French fireplace mantle with overmantle. 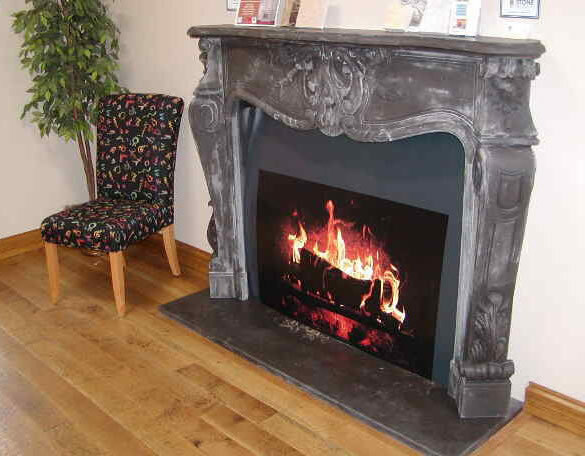 Overmanle fireplaces ideas in the French desgin.